This July marks the 100th anniversary of the start of the First World War. It also marks the beginning of the end of the once all powerful and glorious Ottoman Empire. The Ottomans marched victoriously into the Arab world via Damascus on September 26, 1516. They marched out of the very same city in defeat exactly 402 years later on the same date, September 26, 1918. If history tell us anything, it is that empires are usually unhappy with being ejected from their favorite cities with little pomp or ceremony. A constant theme proves that when an opportunity arises, they almost always try to return — one way or another. This was clearly shown by Russian President Vladimir Putin, who still feeds off Soviet ambitions that crystallized in Ukraine, especially Crimea, earlier this year. Turkey is no exception to this rule. For the past 10 years, the Justice and Development Party (AKP) has tried — with varying degrees of success — to return to territories once part of the Ottoman Empire. The jewel in the crown, of course, was Damascus. 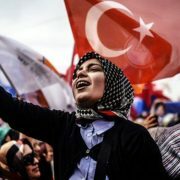 At no time since the collapse of the Ottoman Empire a century back, however, has Turkey’s role in the region been perceived with so much controversy, to put it mildly. One hundred years ago death dominated the Middle East, pretty much like today. All male subjects of the empire, aged 17-55, were forcefully conscripted into the Ottoman Army. They were sent to die in faraway places, and their families never properly compensated for their service. By 1916, the Ottoman Army stood at a staggering 2.8 million. The officer class was pampered by the Sultan, unlike the unfortunate foot soldiers who were treated as an underclass. Rich young boys sometimes managed to bribe their way out of service, but the same could not be said for all Arab citizens, who were hauled off to battle in the dreaded Safarbarlik. Some lived to tell the tale; while thousands of others perished on the battlefront. Of the 2.8 million sent to fight, 325,000 died in combat between 1914 and 1918. Another 240,000 died of disease, while no less than 250,000 were listed as “missing” or “prisoners of war”. 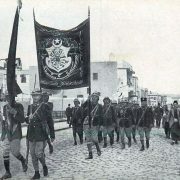 Additionally, an estimated 1.5 million deserted the Ottoman Army, 50 per cent of which were Arab soldiers. The grief caused by the massive death toll of the war cast a shadow of fear over the lives of an entire generation of Arabs. They watched in horror as loved ones and neighbors disappeared behind the front lines of the Ottoman Army, fighting for a cause that never concerned them. The anguish of war was destructive to both the rich and poor in Ottoman Syria, thanks to an Allied embargo of all goods coming into the Empire. A sharp decline in heating fuel, for example, led entire families in Damascus to spend the winter of 1915 in cold and darkness. In Mount Lebanon towns like Batroun, the population fell from 50,000 in 1914 to only 2,000 by 1918. 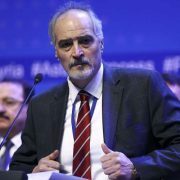 This nightmare, which Syrians read in the daily press and heard first-hand from Beirutis flocking into Damascus, hit Syria next. A Christian pastor from Minneapolis who visited Syria in 1916 said that in Damascus, people were dying in the streets every single day. “Starvation and famine are everywhere” wrote the pastor, adding that “the men of Damascus are either in military service or hiding. The women and children are reduced to beggary”. The Damascus Police collected no less than 70 unidentified bodies daily. By October 1917, the crisis had reached as far south as Jerusalem. Turkish Prime Minister Recep Tayyip Erdogan, an Ottomanist at heart, knows that history all too well. He worked hard for the past decade to erase it from the minds of Arabs, through a policy broadly coined as “neo-Ottomanism”. It suggested revival of the intellectual, political, economic, and social influence of the Ottoman Empire throughout the Arab world. The word “Ottomanism” was difficult to sell to the Arab street, however, after nine decades of systematic indoctrination in schools, in books, and political discourse. 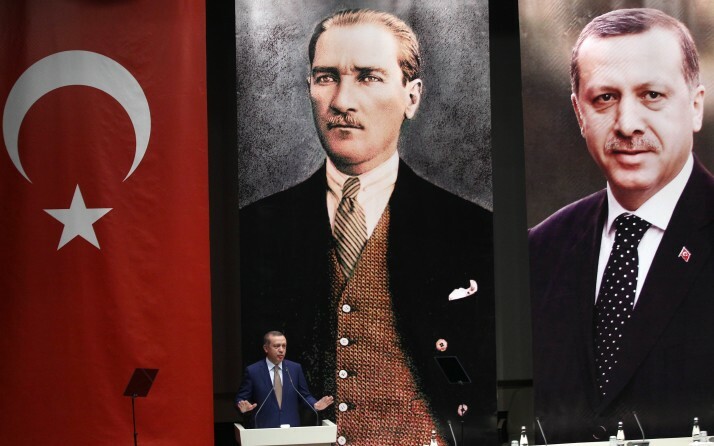 Decision-makers in Turkey had once tried to hide their Ottoman past, ashamed of it during the heyday of Kemal Ataturk because it looked backward and was too Islamic for the secular state that was being carefully erected in Turkey. With Erdogan and his Foreign Minister Ahmet Davutolglu, this became a thing of the past, as they began opening up to their Ottoman legacy and building bridges with Arab countries. The policy by no means stopped at the gates of Damascus; Erdogan tried to expand it to include Egypt, Jordan, Palestine, Syria, Lebanon, and Iraq. The honeymoon between Erdogan and Syria was well-known until relations hit rock bottom after the outbreak of the Syria revolt in March 2011. Before that, Erdogan was a favorite guest of Damascus and Aleppo, the two main cities in Ottoman history. Turkey sponsored indirect talks between Syria and Israel, tried to hammer out solutions between Fatah and Hamas in Palestine, and worked on mending broken fences between Damascus and Baghdad during the summer of 2010. Ankara embraced powerful non-state actors like Hezbollah and Hamas, championing the Palestinian cause during the years 2003-2010, even receiving Hamas leaders in Ankara in 2004. Erdogan also lifted visa requirements with six Arab countries: Libya, Morocco, Tunis, Jordan, Lebanon, and of course, Syria. Erdogan best explained it by saying that a “regional Schengen” system, similar to the agreement signed between European countries in Luxembourg in 1985, had now gone into effect in the region, removing systematic border controls between these countries, making them closer to how they had been under the Ottoman Empire. Erdogan was trying to tell the Arabs that despite a very rough period in bilateral relations during the First World War, the Ottoman legacy in the Arab world was not all bad, and not all autocratic. Many of the finest buildings in Damascus and Beirut, after all, were constructed during the Ottoman era. So were many of the codes, laws of commerce and aspects of civil administration, which lasted well into the 20th century. The Ottoman influence on Arab language, heritage, music, heritage and cuisine, cannot be ignored, despite years of trying to write off anything Ottoman as being destructive to Arab culture. During the years of Erdogan’s engagement with Damascus, anti-Ottoman rhetoric disappeared from Syrian TV, controversial shows were muzzled, and drama works were cranked out by both countries, celebrating the good side of Ottoman-Arab history and the grand feats of Sultan Abdul Hamid II — one of Erdogan’s many iconic Ottoman role models. 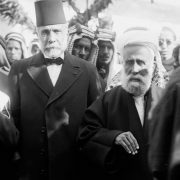 Although the Ottomans struck with an iron fist at the Arabs working with Britain against them during the Great War, they also — very symbolically — refused to sell land in Ottoman Palestine to the Zionists during the reign of Sultan Abdulhamid II. It is that part of Ottoman history that Erdogan wanted the Arabs to remember, not the hangman’s noose that was erected by the Ottoman governor of Syria, Jamal Pasha, in the central squares in Beirut and Damascus in 1915-1916. The horrific death toll of the past three years has destroyed all of Erdogan’s efforts. Neo-Ottomanism, celebrated by leading Arab journalists and scholars only three years ago, is now viewed through the narrow prism of Ottoman ambitions towards expansionism in the Arab world. It’s anything but brotherly — more reminiscent of the forceful approach taken by the Ottomans, 100 years ago.